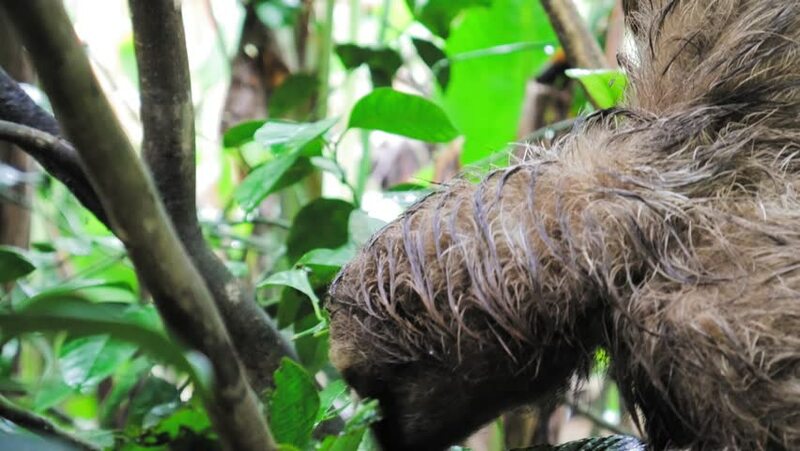 A close-up of a Costa Rican tree sloth in the rain forest. hd00:20Capuchin Climbs Trees, Jumps and Moves in Slow Motion. Beautiful Action.